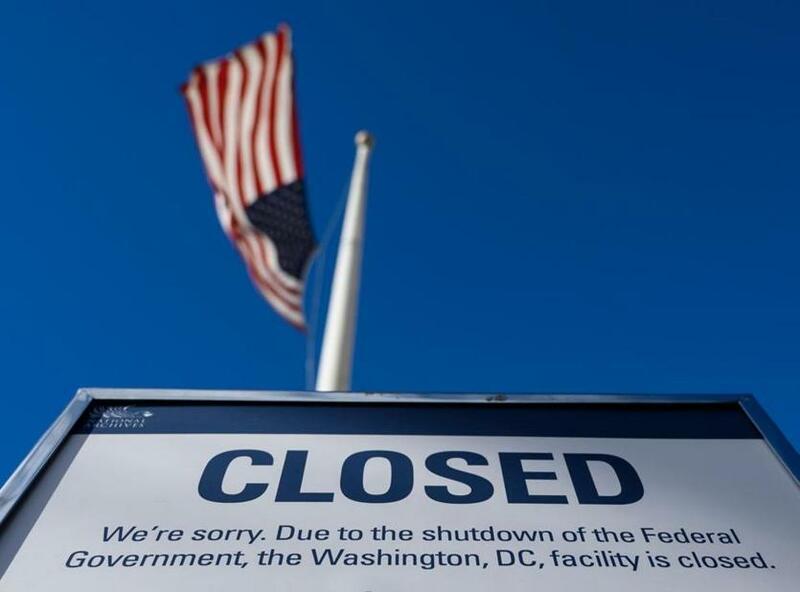 A sign is displayed on a government building that was closed because of the US government shutdown. Another day, another government shutdown looming. Just a few weeks after the last shutdown ended, immigration enforcement is once again at the center of congressional budget talks, even as negotiators seemed to have agreed on a deal in principle. This time, though, the last-minute tussling had nothing to do with a border wall. Democrats wanted to impose a new cap on the number of domestically detained immigrants that authorities can hold, to 16,500 at a time. Public discussion has been dominated by calls for an elusive compromise involving protections for Dreamers and Temporary Protected Status (TPS) holders in exchange for funding Trump’s wall. But putting limits on domestic immigration enforcement is a clever strategy that could restore some sanity to the country’s out-of-control immigration policies and should remain a priority going forward. “Domestically detained” refers to immigrants who are picked up living inside the United States; it doesn’t include immigrants detained at the border itself. Millions of people live in the United States illegally and could, theoretically, be arrested by ICE at any time. The goal of instituting a cap is to force the Trump administration to prioritize enforcement. Faced with a cap, Democrats are hoping immigration authorities would focus on holding and deporting immigrants who are dangerous — rather than simply indiscriminately arresting anyone they can find. The cap would be a way of restoring some priorities to immigration enforcement. During the Obama years, the administration adopted a policy of prioritizing immigrants who had committed violent crimes. That had the effect of concentrating resources on dangerous individuals, while also sending the message to other immigrants that if they stayed out of trouble they needn’t live in the shadows. The Trump administration, though, has deliberately sent a different message: Anyone could be next. That’s sent fear through immigrant communities — which appears to be part of the administration’s goal. The cost of detaining immigrants makes it especially important for Congress to set parameters. ICE reported that it cost $134 per day on average to keep an individual in detention (immigration advocates have put the number closer to $200). That means it is costing American taxpayers between $8 million and $10 million per day to sustain ICE’s massive immigrant detention apparatus. Most of it is outsourced to local county sheriffs and private prisons, which creates a perverse incentive for these companies to lobby for a higher number of detention beds. Republicans objected, saying they don’t want violent criminals to be counted toward the cap of 16,500. That, of course, would defeat the purpose, which is to force ICE to stop wasting its resources arresting nonviolent immigrants and preserve its limited number of beds for real threats. A tentative deal to keep the government open is good news. But as opposed to the president’s demands for a border wall, Democrats were pushing a concept that would make immigration enforcement smarter and more humane. If they can’t enact the bed limit in this round of negotiations, they shouldn’t drop the idea.